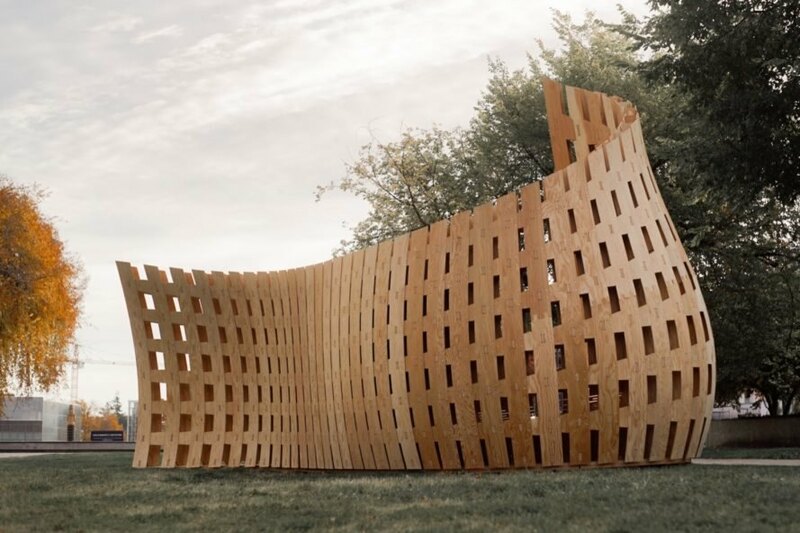 Traditional materials and futuristic technologies have come together in the Wander Wood Pavilion, a large-scale robotically fabricated structure completed by students at the University of British Columbia in Vancouver. 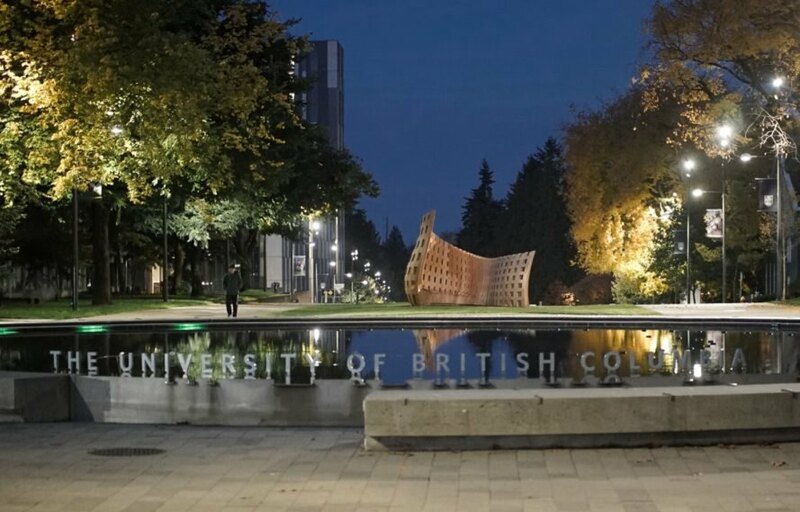 Installed as a temporary addition to the campus grounds, the experimental pavilion was fabricated and assembled in just over three days using a state-of-the-art eight-axis industrial robot at the UBC Center for Advanced Wood Processing. Constructed with built-in seating, the sculptural installation was built mainly of wood, a renewable material selected for its sustainable features and ability to store carbon. 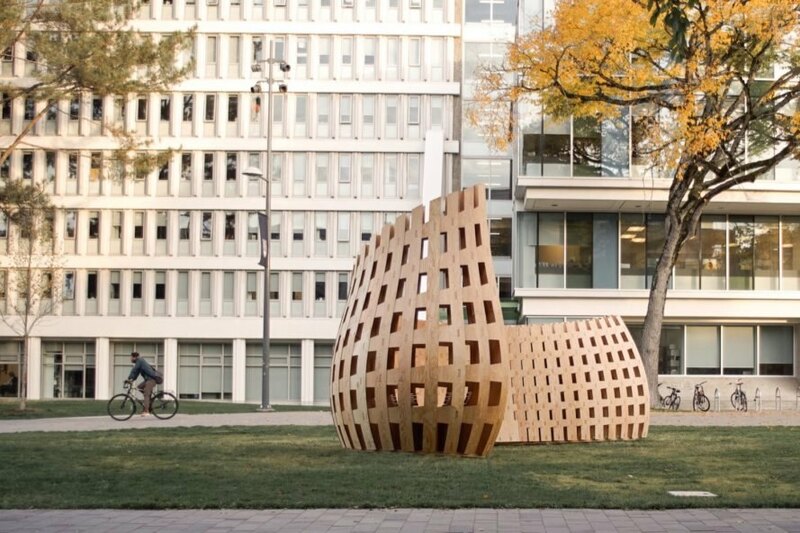 Completed in October 2018, the Wander Wood Pavilion is the result of the Robot Made: Large-Scale Robotic Timber Fabrication in Architecture workshop led by David Correa of the University of Waterloo, Oliver David Krieg of LWPAC, and SALA professor AnnaLisa Meyboom. A large team of students, staff, faculty and external partners worked on the project as part of the university’s SEEDS Sustainability Program, an initiative that aims to advance campus sustainability through multidisciplinary projects. Forestry Industry Innovation provided the funding. The sinuous and latticed form of the sculptural Wander Wood Pavilion not only helps activate the surrounding public area, but its curved shape also creates a cocoon-like environment for visitors using the built-in bench seating. The research workshop installation was installed next to the university fountain in the Martha Piper Plaza. 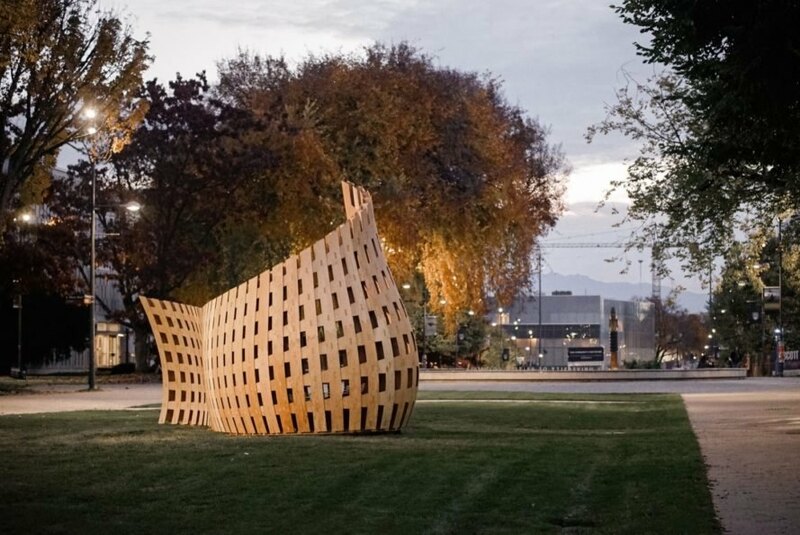 This wooden pavilion blends traditional materials with futuristic technology. 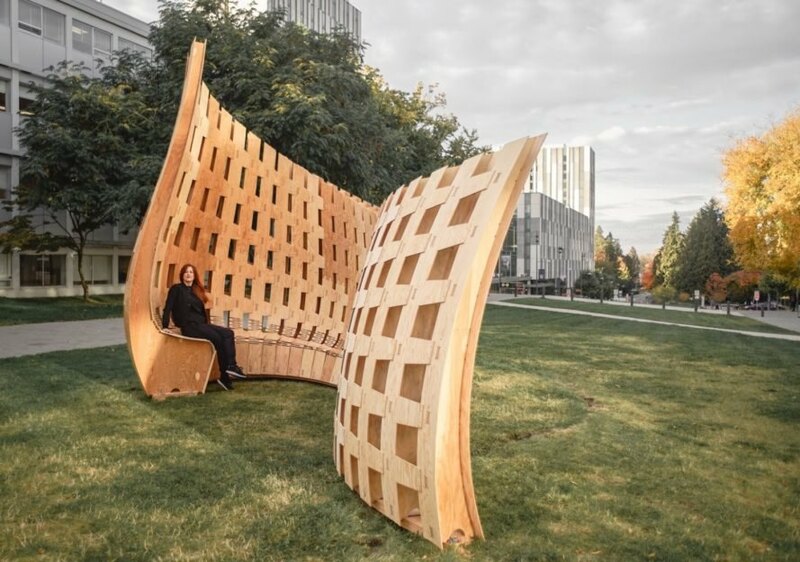 The pavilion was fabricated by robots at the University of British Columbia. The Wander Wood Pavilion hides built-in seating for students. The team that worked on the project chose wood for its sustainable properties. The structure was completed in October 2018. Students, staff, faculty and external partners worked on the pavilion as part of the university's sustainability program.